The House of Faberge and its head, Peter Carl Faberge, became widely renowned for the Easter eggs that were presented to the Russian royal family. 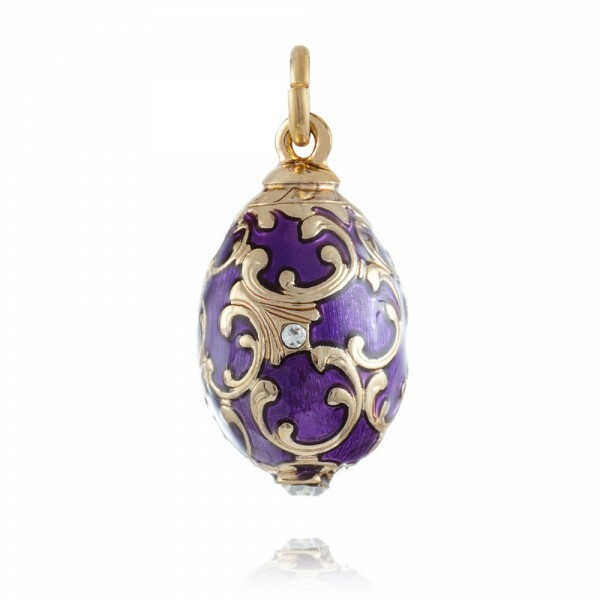 This type of work became so popular that the jewelry workshop started producing miniature pendants and earrings in the form of Easter eggs. The design of this pendant with its radiating heart framed with a golden ribbon encrusted with sparkling Swarovsky crystals against a vivid enamel background will fascinate anyone with a taste for unusual stylish jewelry. This pendant would make a marvelous romantic gift or declaration of love.